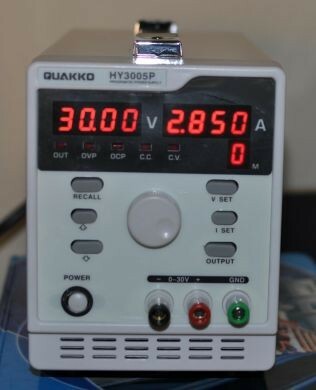 For sale is a nice lab grade regulated programmable DC power supply from Quakko, Model number HY3005P. 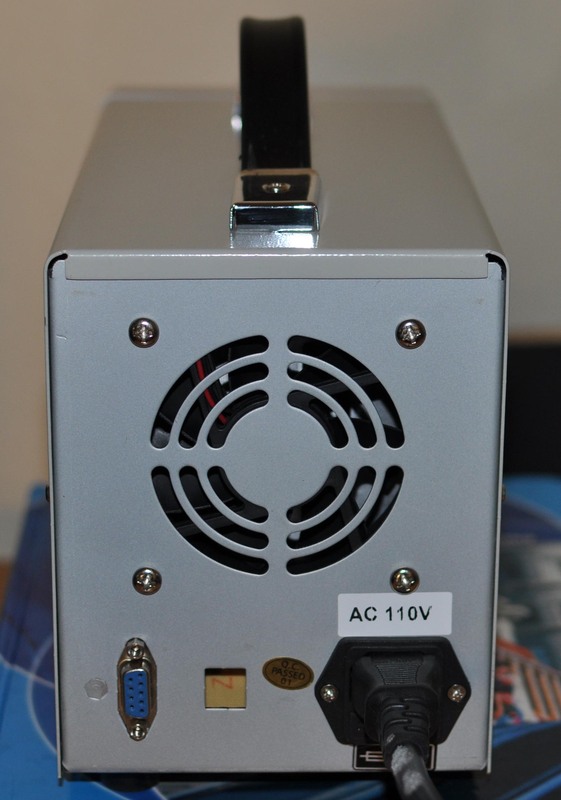 The output of this highly stable, high quality DC power supply is continuously adjustable at 0-30V DC and 0-5A. With its full digital control and 5 memory settings, it's extremely easy set up the output you want and repeat the settings you use regularly. Comes with over-voltage and over-current protection for durable operation. 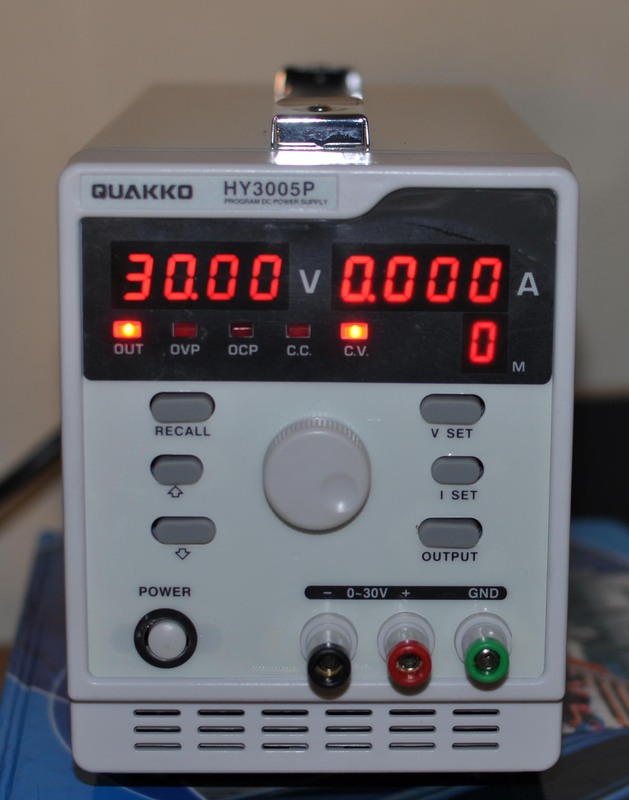 With RS232, you can program up to 30 steps of different output values and duration, a very valuable feature if you have a complicated test procedure. 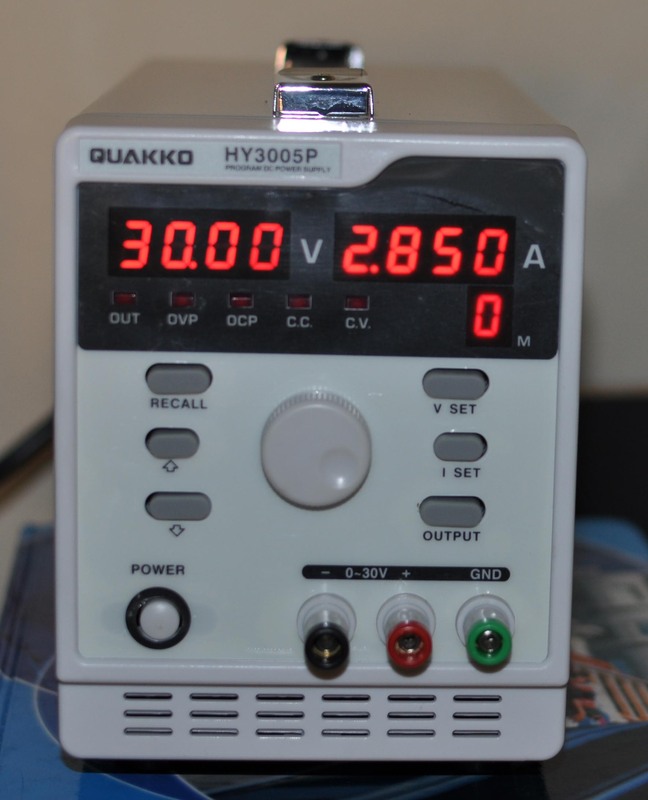 The unit comes with very bright LED displays, providing accurate readout for the voltage and current values. Retails well over $300. Size: 3.9" x 6.3" x 10.8"